What do you need to do to get STP compliant? As of the 1st of July 2019, all businesses will need to report payroll information to the ATO through STP. The process of complying with STP requirements can seem daunting. Along the way you might run into questions like: how will I receive responses back from the ATO? Does my software provider adhere to security standards? My software isn’t STP enabled, what do I do? 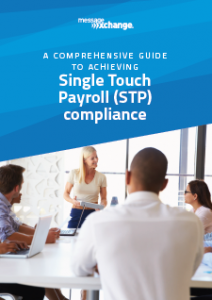 This whitepaper is here to help guide you through the process, drawing on our experience helping hundreds of businesses achieve STP compliance. It’s a comprehensive guide for anyone who’s starting to look at getting their business or clients ready for STP. What you need to think about once you’re live, including communicating the impact to your employees. You can opt out of these emails at any time.